The Kansas Department of Transportation (KDOT) requests comments on an amendment to the FFY 2019-2022 Statewide Transportation Improvement Program (STIP) document. The approval of the STIP amendment requires a public comment period, which concludes May 1. To make comments on the amendment, contact KDOT’s Bureau of Program and Project Management at (785) 296-2252. This information is available in alternative accessible formats. To obtain an alternative format, contact the KDOT Office of Public Affairs, (785) 296-3585 (Voice/Hearing Impaired-711). Topeka, Kan. – The Kansas Creative Arts Industries Commission (KCAIC) will conduct a webinar hosted by the Kansas PRIDE program on April 18 from 12 – 1 p.m. Peter Jasso will give an overview of current grant categories, partnership programs, and upcoming events as well as answer questions from participants. The webinar will also be recorded for those who cannot attend at the initial time. The Kansas PRIDE program is a volunteer, grassroots effort to improve the quality of life in local communities. Each Kansas community is unique and shares a common bond: a rich heritage based on self-reliance and community pride. Since 1970, the Kansas PRIDE program has assisted and encouraged communities to prepare for the future by building on their past and forming a vision of the future. The goal of PRIDE is to help maximize community and economic development efforts by encouraging all groups to coordinate and work collaboratively for community betterment. Hiring A Limo or Party Bus? TOPEKA – Limousines and party buses are popular modes of transportation for proms, weddings and other special events. If your spring or summer plans call for limo or bus transportation, the Kansas Corporation Commission (KCC) encourages you to do a little research before booking. The KCC, the agency that regulates motor carriers in the state, recommends that you check to be sure the transportation company you are considering has operating authority. That means they meet the applicable federal and state requirements for safety, insurance, operations and driver training. Services operating within the state are also required to file their current tariffs or rates with the KCC. Those can be found on the KCC’s website. “Planning your next limousine, party bus or charter bus trip is an important decision. Take a moment to ensure the company you select has the appropriate State and/or Federal operating authority and a safe operating history. Looking before you book will help you have a safe and satisfying experience,” said Mike Hoeme, KCC Transportation Director. Topeka—Kansas State Treasurer Jake LaTurner made tax day a little brighter for thousands of Kansans by helping put money back in their pockets. With the help of several broadcast media outlets, the State Treasurer’s Office held an event Monday to bring awareness to the over $350-million in unclaimed property in the State Treasury and encouraging Kansans to get online and see if any of it belongs to them. Over 27,000 people went to kansascash.com to search, and $372,146 was returned to its rightful owners. Searches for unclaimed property can be done anytime on kansascash.com. Most claims made online can be paid easily via direct deposit. In 2018 a record $26.5-million in unclaimed property was returned to Kansans, and the office is on track to break that record in 2019. 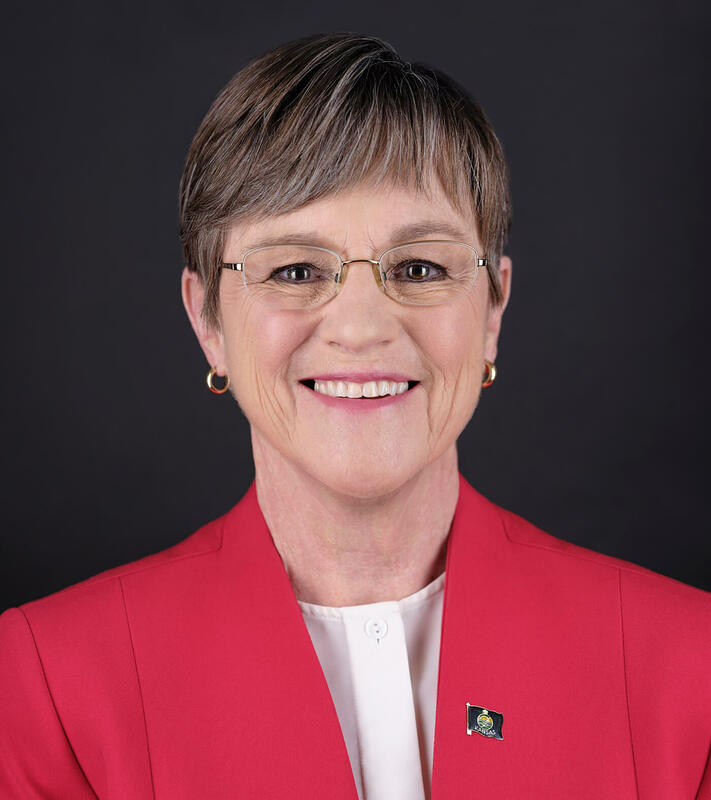 In an effort to expand and improve voting opportunities in Kansas, Governor Laura Kelly signed House Substitute for Senate Bill 130 yesterday afternoon, amending the law concerning advance ballots, signature requirements and polling places. 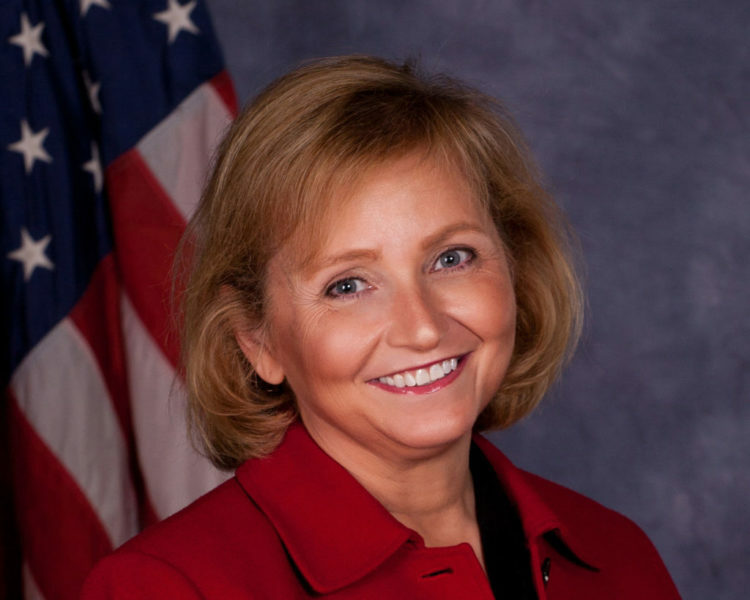 House Substitute for Senate Bill 130 will give county election officials the discretion to allow all registered voters to cast their ballot at any polling place in their county on election day. It also requires county election officers to attempt to contact each voter who submitted an advance voting ballot without a signature or with a signature that does not match the signature on file. The voter will be allowed to correct their signature before the commencement of the final tallying of votes in that county. 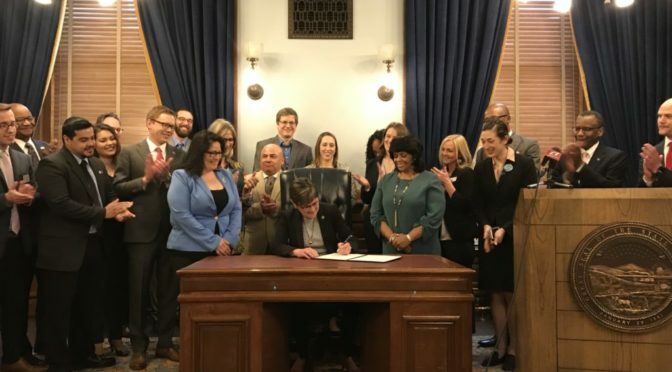 This brings the total number of bills signed in the 2019 Legislative Session to 37, with one being vetoed. 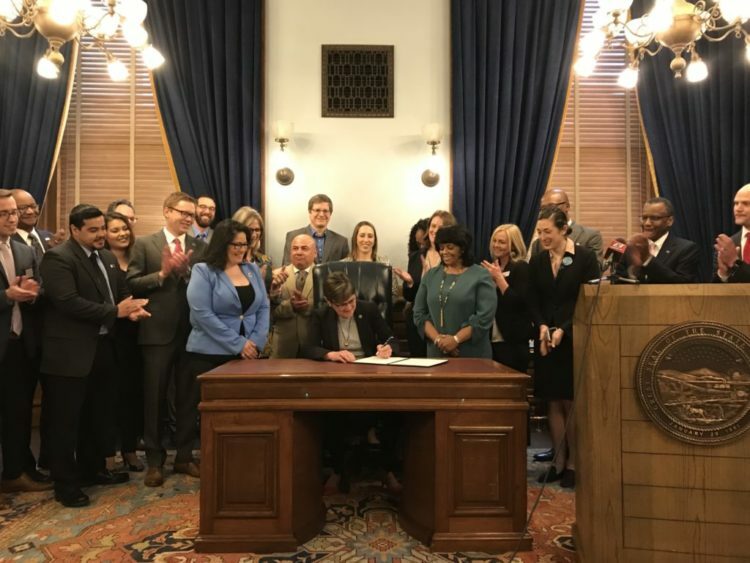 By law, the Kansas governor has 10 calendar days to sign bills into law, veto bills or allow bills to become law without her signature. The legislature is on break. However, as a legislator I am continuing to work throughout the district and on unresolved issues. I have had the opportunity to visit businesses, schools, and with others. It helps me represent you in Topeka. Education Funding – How much is Enough? It is a question that is impacting every Kansan, whether you’re an employee of a school, a taxpayer, a parent, a student, or a future student. Money being an indicator of priority, then Kansas has made education the number one priority for many years. According to Division of Budget Comparison Report in 2001, over 50% of State General Fund (SGF) went to education. In the 2019 Report, over 50% of the SGF goes for education. The 2019 SGF budget for departments and agencies is $7.1 billion, over $3.5 billion of that money will be spent on K-12. That is only state aid. It does not include local and federal money spent on 286 school districts in Kansas. Total K-12 spending, state, federal, and local money is over $6 billion. There have been attempts to require more of the K-12 funding to go to the classroom and teachers. However, there is never a majority of legislators who support this effort. One expenditure that isn’t talked about much is what schools spend to lobby for more money. 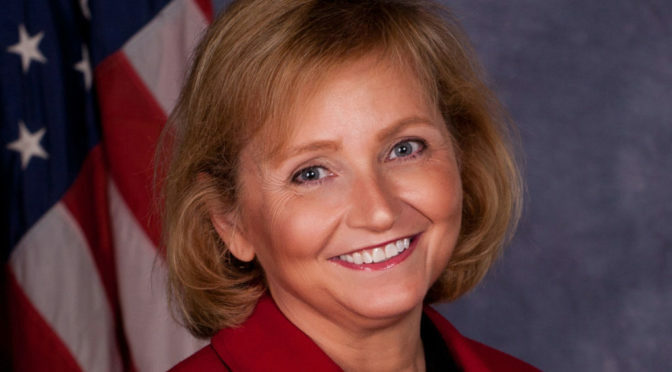 Legislative Post Audit has a limited scope report asking, “How Much Money Do a Small Sample of Counties, Cities, and School Districts Report to Us They Spent on Lobbyist or Associations with Lobbyists in 2017?” The three largest school districts, Wichita, Shawnee Mission, and Olathe schools reported spending around $1.4 million on lobbying in 2017. Taxpayer money spent to get more taxpayer money. (http://www.kslpa.org/media/files/reports/l-18-011.pdf Appendix C, page 15). We can all agree that education is important. Kansas has made education the number one priority of the State and has been putting money toward that priority for years. What is our Return On Investment (ROI)? It’s time for a paradigm shift because the pattern of adding more money, no matter what amount, is never enough to satisfy the lawyers and the KS Supreme Court. Our objective should be based on student outcomes and the amount of money should be determined by the 165 legislators elected to do that job – not the Supreme Court.